Central American Child Migrants: Why Are Kids Arriving Unaccompanied? What Should Happen with Them? 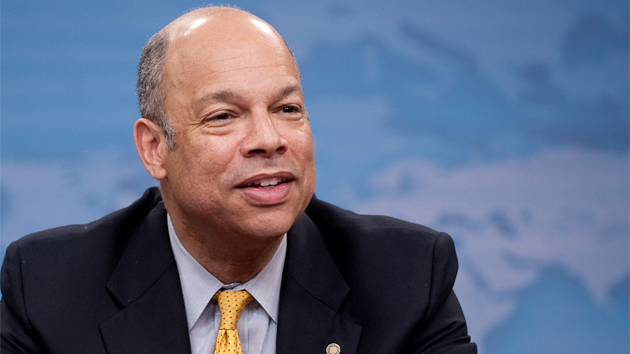 Here’s why Secretary of Homeland Security Jeh Johnson is exactly wrong on the Central American migrant issue. Two questions are relevant here: why are Central Americans crossing the border, and why are kids coming without adult relatives? There are also immediate reasons for the sharp rise in Central American children crossing the border. I agree with Secretary Johnson on the key role of smuggling networks in misinformation campaigns directed at Central Americans, spreading false information about minors being able to secure “permisos” to stay in the United States. But why are kids making the dangerous trek unaccompanied by their parents or adult relatives? During last week’s House hearings, I heard no effort to analyze that question. Yet based on research I have done, as well as other important research done at the University of Arizona by Murphy Woodhouse, Jeremy Slack, Geoff Boyce, Richard Johnson, and others, here’s why these kids are coming without their families. The kids are coming unaccompanied by relatives because of the militarization of the US border that has occurred since the mid 1990s and especially since the mid 2000s. The details of this militarization are well known, and the bottom line is that as the trek north has become riskier (walking days through the treacherous desert), it has also become a lot more expensive. It currently costs between $8,000 and $12,000 for one person to make the trip from Guatemala to the US. In the past, there was a lot more circular migration from Mexico and Central America; parents could work in the US and return home, or travel to pick up their kids for the journey north. “Coyotes” were not drug smugglers, but usually just people from the community who knew the routes. These days, what is the choice for parents who are already in the US? In many cases, the choice is either to arrange for the kids to come north on their own via ever more dangerous networks, or never see them again. And so, why is Secretary Johnson exactly wrong on this issue? In last week’s hearings, he stressed that the “key” policy tool would be to ramp up Mexico’s “deterrence” capability vis-à-vis Central American migrants. First of all, it’s hard to see how the migrant routes could possibly become more militarized, but even if that were to happen, it would only push the Central American children ever more tightly into the clutches of criminal trafficking networks. And it would make it more likely—not less—that children would travel unaccompanied by an adult relative, since the cost to migrate would become even more prohibitive. Of course, stopping Central Americans before they reach Mexico’s northern border has long been a goal of US policy. But this doesn’t solve the humanitarian crisis; it merely displaces it out of range of US television cameras. I could write another essay on why Joe Biden’s offer to increase funding to Central America via USAID anti-gang programs is useless to stop out-migration (this is just more of the same top-down development policy, and these funds will go to government agencies and large NGOs and will have little or no effect on the communities of migrants). Why should US citizens care about this? Besides the humanitarian debacle playing out on our border, which we had a decisive hand in creating, a significant amount of money is being wasted in this “security theater.” Research shows that punitive measures taken against migrants don’t deter migration, they just increase people’s suffering. The Central American kids won’t stop coming no matter how many National Guard troops we put on the border or how much we coerce Mexico into persecuting them along the way. They will only stop if conditions change in Central America, and to support that, we should have a much broader discussion of US policy toward the region. In the meantime, why not treat the Central American migrants the way we treat Cubans? Why not simply let them stay? Given our nefarious history in the region, it is the least we can do. Liz Oglesby is Associate Professor of Geography and Latin American Studies at the University of Arizona, Tucson. She has worked in Central America since the 1980s. She is a former editor of Central America Report (Guatemala City) and co-editor of The Guatemala Reader: History, Culture, Politics (Durham: Duke University Press, 2011).